Roma will need find the rhythm and form that had at the beginning of the season. The last performances were very poor. Fiorentina is a team that can score easily. Ten days ago when the team visited Olimpico against Lazio lost heavily. I don’t believe that this happen today though. 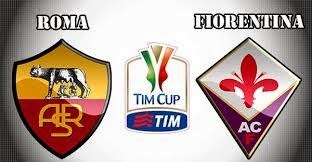 Roma is not in the same form as Lazio and Fiorentina will be much careful. I think that Roma will respond much better on this game than others and that will at least score. I expect the some from Fiorentina that needs a goal anyway. My prediction is both teams to score.